A key data point has been buried in the back-and-forth over the Trump administration's rollback of former President Obama's climate legacy: EPA's own research has found that lifting public health protections on air pollution could kill thousands of Americans. Much of the discussion has focused on what the reversals mean for the warming planet, weighed against the economic cost of those regulations. There's a more immediate effect: Reducing CO2 is often linked to a reduction in fine particle air pollution, which kills millions of people globally every year. "These rollbacks have a tendency to provide some benefits for industry at the cost of increasing the number of people who die or become ill from pollution," said Daniel Shawhan, a fellow at Resources for the Future and a researcher at Cornell University's Dyson School of Applied Economics and Management. The Department of Energy is expected to craft a plan to keep coal-burning and nuclear power plants operating, likely by arguing that they are necessary for national security. At the same time, the administration is looking at scrapping the "co-benefits" of some climate rules in considering their cost, which would eliminate the rules' protections against fine particle pollution. Yesterday, at an event for Child Health Day at EPA headquarters, acting EPA Administrator Andrew Wheeler said the Obama administration's calculation of health benefits was "suspect." He said that the Trump administration's rollback of vehicle emissions rules and the Clean Power Plan would not affect public health protections. "Neither one of those is health-based standards per se," Wheeler said. "We have our separate health-based standards. We have not changed those. They're still in effect. They'll still be in effect next year, tomorrow." There is no level of air pollution that does not affect humans, and the higher its concentration, the greater the risk of premature death, said Joel Schwartz, a professor at Harvard University's School of Public Health. Air pollution controls, not climate considerations, accounted for most of the economic and health benefits of the Clean Power Plan, Obama's rule on power plants. "The climate-related rules have air pollution co-benefits, so that hasn't gotten enough attention," Schwartz said. "They're missing that they're breathing the air, so they're going to be breathing the air tomorrow, and there is this strong anti-regulatory agenda that is proceeding on many different fronts that is going to make the air dirtier." "Burning coal is a particularly effective way of releasing a lot of health-damaging pollutants into the air, and so policies that affect the amount of coal that is burned tend to have a big impact on projected premature deaths from air pollution," Shawhan said. The Mercury and Air Toxics Standards would avert 11,000 premature deaths every year, according to EPA figures. It's estimated to prevent 130,000 asthma attacks and 4,700 heart attacks, while saving up to $90 billion annually in human health costs. The 2012 rule requires reductions of emissions of mercury, arsenic and acid gases from power plants. The administration announced it was reviewing the plan in August. 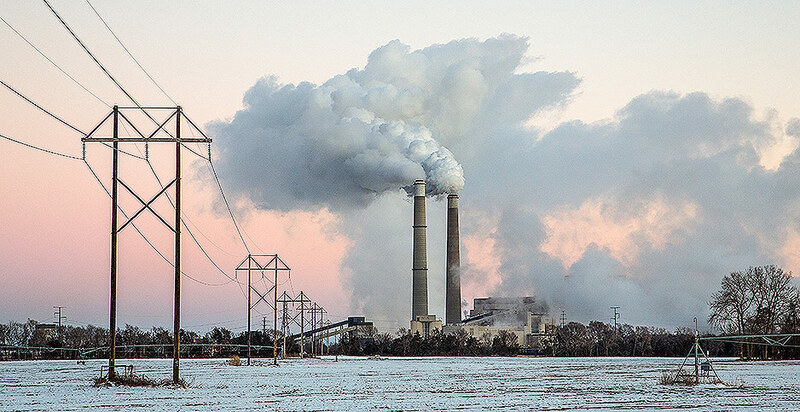 "Compared to the world as it stands now, the ACE rule will result in dramatic reductions in emissions, including CO2, mercury, and fine particulate matter precursors," spokeswoman Enesta Jones said in a statement. "Thus, implementing ACE as proposed will also result in reduced mortality and morbidity effects such as asthma-related hospitalizations." The data-crunching that goes into any regulation, or deregulation, is not immune to politics and is designed to boost the administration's argument for its actions. Still, when EPA officials make estimates about preventing premature deaths with a regulation, it's not as political as some might think. "They are not as vulnerable as some Washington skeptics might think," Graham said. "The political staff of agencies have to persuade the career staff to make changes to technical inputs, obtain appropriate references, redo computer modeling, obtain credible peer reviews and so forth. This is not easy for political officials to engineer, and it certainly would take a considerable period of time." Even if there is a debate on the exact number of premature deaths that could result from a policy shift, there's a vast body of science showing that air pollution kills. The Obama administration proposed rules that would have resulted in significant reductions in fine particle pollution. Under Trump, those premature deaths won't be avoided, said Paul Billings, national senior vice president for advocacy with the American Lung Association. "We're talking about a wide range of adverse health consequences: additional asthma attacks, emergency room visits, cardiac events, lost days from work and school, and the ultimate adverse health effect, premature death," he said. "Each of these proposals is taking pollution reductions that were on the books and rolling them back, which would mean more pollution in the air causing these very significant health consequences." "A big criticism of deep reductions in CO2 emissions is that the benefits of taking deep action and taking serious action happens sometime in the future and are dispersed," he said. "You can have pretty immediate benefits and pretty substantial benefits that happen right now from deep reductions in CO2 emissions and also aren't just dispersed around the globe. You can have benefits occurring locally, as well." Laura Kellogg, a mother of asthmatic children who stood at Obama's side as he signed the Clean Power Plan, said its rollback will hurt people throughout the country. The costs saved by industry are being transferred to families, said Kellogg, who is a registered nurse and trained asthma educator. She said it will hit the most vulnerable the hardest. "The burden is going to be paid by those who are suffering from the effects of air pollution, especially those with chronic lung conditions," Kellogg said. "This has a whole domino effect, the economics of asthma: Kids are missing school; parents are missing work, having to incur the expense of medical visits and medications. It certainly is a cycle, and the burden is paid by those who are suffering."